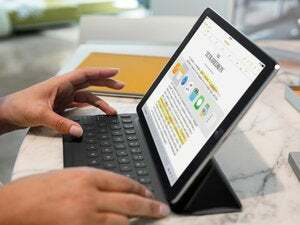 The Smart Connector on the iPad Pro could do more than just connect a keyboard—couldn't it? The first thing that struck me was the Apple Pencil. 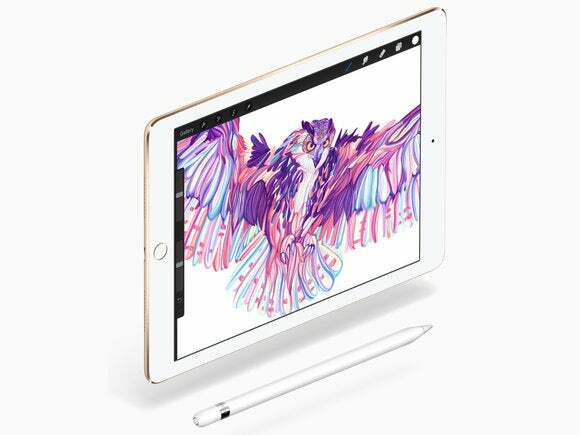 Critics—and even those who like the Pencil—have made a lot of hay out of the Lightning connector on the device’s eraser end, which makes it stick out of an iPad or iPhone port like a vestigial antenna. Likewise, the fact that there’s really no way to store the Pencil along with the iPad, unless you invest in some sort of case that accommodates both. The Pencil needs a home. Seems to me like Apple could have hit a double by using the Smart Connector as a charging point and as a magnetic attachment for the Pencil. That would solve both the awkward charging issue and the storage issue. Of course, the problem with that is that if you attach a Smart Keyboard or other magnetic cover, you can’t access the Smart Connector. So perhaps not the ideal situation. But you have to disconnect the magnetic covers to use any other Smart Connector-based peripheral anyway, so perhaps it wouldn’t be so bad. 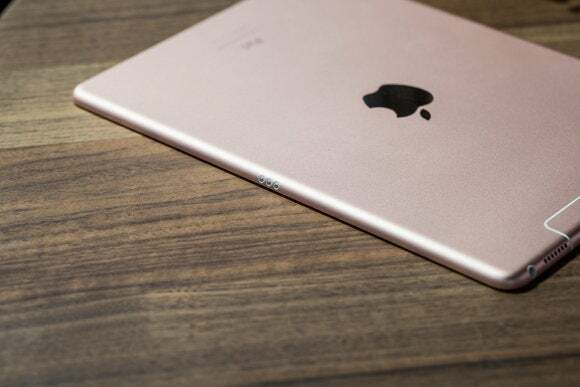 One benefit of the Smart Connector over the Lightning port is that it seems like its lack of ingress into the iPad’s case might help with waterproofing that device—or at least making it more water resistant. The Apple Watch, of course, takes it a step further with no exposed contacts at all, but it also utilizes that for charging only, not data. Could the Smart Connector replace the Lightning port? Well, it’s clearly capable of charging the iPad, albeit more slowly, it appears, than charging via the Lightning port. And since it handles data, it seems as though that might appease any who wish to plug their iPad into their Mac or PC. But I’d bet that the data throughput is a lot more limited than Lightning, too. Moreover, having already switched ports once in the last few years, I can’t imagine that Apple is eager to tell consumers that they once again have to reinvest in new peripherals and cables. So it doesn’t seem terribly likely. So maybe all Apple really wants out of the Smart Connector is what the company bills it as: a simple, hassle-free way to connect a small, thin keyboard. 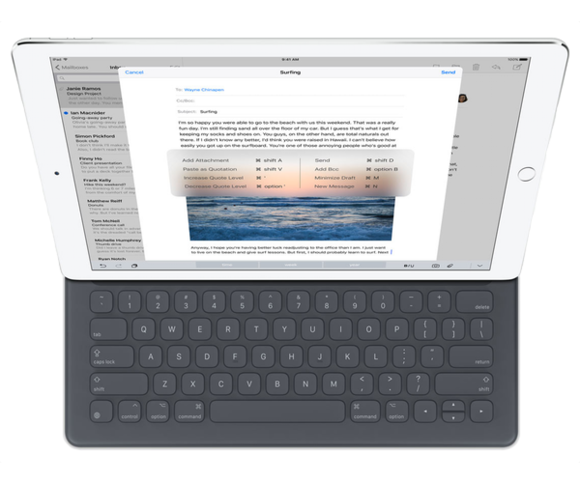 Bluetooth keyboard support has, of course, been on the iPad for a while now, but it often means a clunky pairing process and having to deal with a separate battery. The Smart Connector is a great keyboard port, but what else could it do? But for all of that, I still can’t help feeling that the addition of the Smart Connector is a bit wasteful. Over on the Mac side, the MacBook is hurting for extra ports, after all! Rumor also has it that the Smart Connector could make a jump to the iPhone as well—perhaps as soon as on this year’s model. While I’m sure a Smart Keyboard-style cover isn’t quite in the works, perhaps we might finally see some sort of magnetic case for the iPhone—I kind of like the idea of a Smart Cover for my iPhone. In the end, it’d be a shame if the Smart Connector ended up being for nothing more than keyboards and chargers. Given the care and attention Apple takes to designing its products, though, I’d be pretty shocked if that’s the (pun intended) case. Hopefully the Smart Connector stands to get a lot more smart.